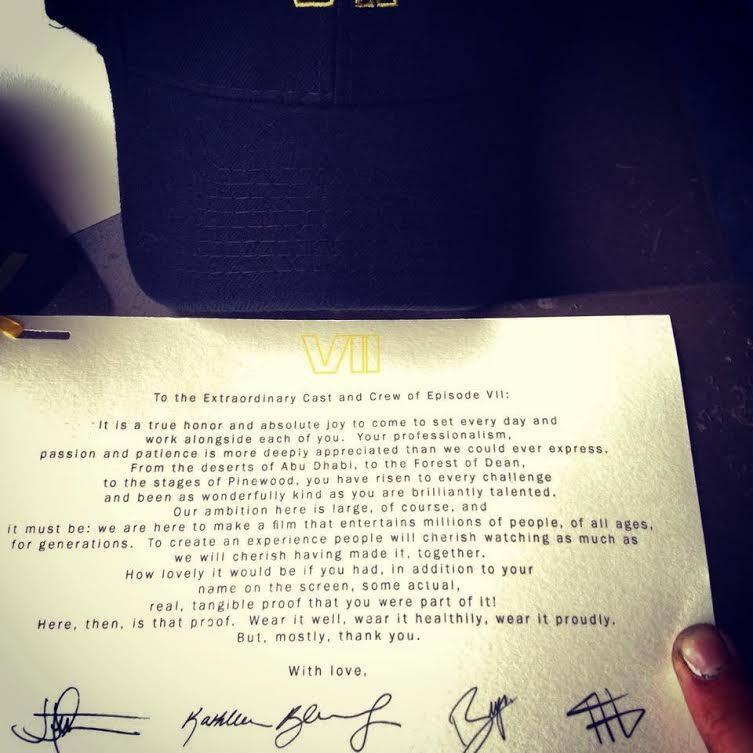 A note given to crew members of Star Wars: Episode VII on their last day! Notice the crew hat above the letter! Thanks to James Rose for sharing and to his friends for making this wonderful film to be!